Let’s be real. We all get a little stressed or overwhelmed at times. Normally, these times are directly followed by a time period we haven’t been taking the best care of ourselves. Think about it for a moment, the last time you were super stressed, what led you down that path? Moreover, what’d you do to pull yourself out of that feeling? We are 100% convinced that making self care a consistent, top ranking priority in your life not only reduces your stress levels (and freakouts) it also helps you feel more focused and accomplish more in your life. Are you ready for guidance so you can take your self-care to the next level? Do you need help creating self care rituals? Or, do you have some rituals but need support in consistently remembering to do them? If the answer to any of those questions is YES, then follow these three steps and you will be on your way to making your own damn magic!!!! Here, at My Little Magic Shop, we believe that developing a relationship with yourself starts with making self-love and self-care a tip-top priority. To improve your self-love and self-care, you must develop a routine. We all know it is difficult to get into a routine with the limited amount of time there is in a day. However, once you get into a routine there are numerous benefits to having a self-love and self-care routine. Learning to put yourself first allows you to be a better best friend, a better parent, a better lover, and a more productive worker. Do You Know the Top 5 Benefits of a Self Care Routine? We did a ton of surveys to find out why people don’t have consistent, self-love and self-care routines so you didn’t have to sort through all the information out there. The biggest thing we found was that TIME was a major factor. Not only is it challenging to create a self-care routine considering these factors, but it is harder to remember to create one if you are feeling overwhelmed, stressed and pressure to get this and everything else done. Plus, not surprisingly, since most people don’t have the time to research and experiment to figure out a self-love and self-care routine for them, so they end up causing themselves even more stress. Spend about a week on self-care. Have quick simplified tips and tricks they can incorporate into their day. Learn by reading, observing, or experimenting. The thing is, making the time to care for yourself is imperative. You MUST take a pause, at least monthly to focus on where you are right now and where you want to go. If you don’t, you will end up like a ship floating in the ocean with no sign of shore in sight. You have magical things to create! If you don’t have dreams you keep top of mind, it’s impossible to have your dreams come true! Make the time, to at the very least get grounded with what you want in the long term. You don’t skip brushing your teeth before you leave the house, so do not skip doing this. For those of you that need a little boost, this is where our third and final step to take your self care to the next level comes in. Using the feedback from our Magical Community, as well as our team’s personal insights, magical training we have created an affordable, exciting and interactive portal and community to help you create rituals and routines that support a consistent self care and self love routine. This portal and community is called Magical Membership Program that will guide you along the path to creating a self-love and self-care routine that is tailored your individual needs. Starting at only $9 a month, we have three available Magical Memberships! the frequently updated Magic Member only site, which is overflowing with exclusive content like guided meditations, quizzes, promotions, ebooks, rituals and more. These three Magical Memberships can easily fit in your budget, with easy access to upgrade or cancel at any moment! 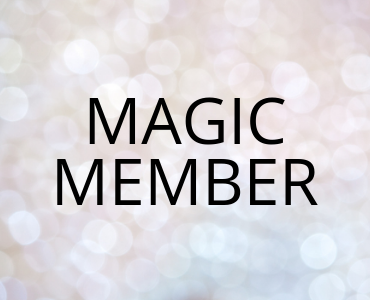 Magic Member is our starter subscription and includes access to the portal and community! Light Magic includes everything Magic Member includes plus some extra Astrological guidance. Finally, our most robost plan yet, Good Magic, which gives you access to an Astrologer & Healer for some individualized support! All you have to do is be ready to take your self-care to the next level. This study concluded that the 14% who have goals are 10 times more successful than those without goals. 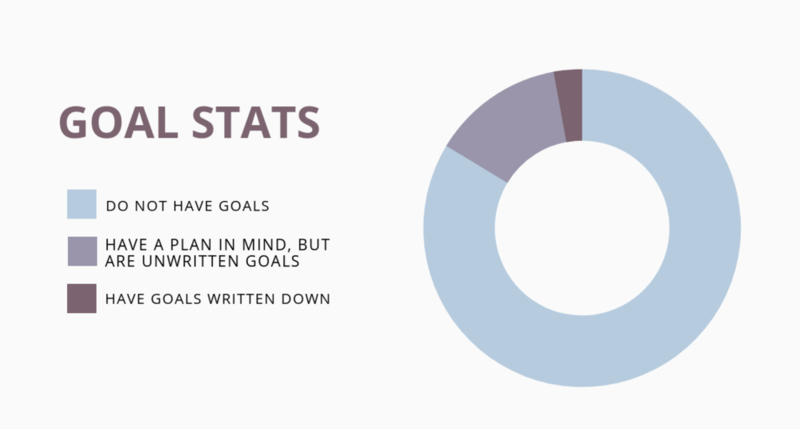 The 3% with written goals are 3 times more successful than the 14% with unwritten goals. Now do you see why it is important to take pauses, to set and reflect on your goals? Why not have a little helping and encouragement doing this? We won’t let you give up! You are here to bring your magic to the world! Let’s do it together!! Shereen Campbell of My Little Magic Shop believes that magic is simply anything traditional society doesn’t quite understand. As a Chief Wellness Officer, seasoned astrologer, certified Reiki 1 & 2 healer, Crystal healer and Timeline Healer, Shereen decided to dedicate a space for self-care. She wanted to make it easy, affordable and fun to discover your best self. She believes that everyone on this planet has something magical to share but sometimes we forget. As light workers, we must make it our duty to help others remember who they truly are! Stop waiting for your life to change, get out there and make your own damn magic.